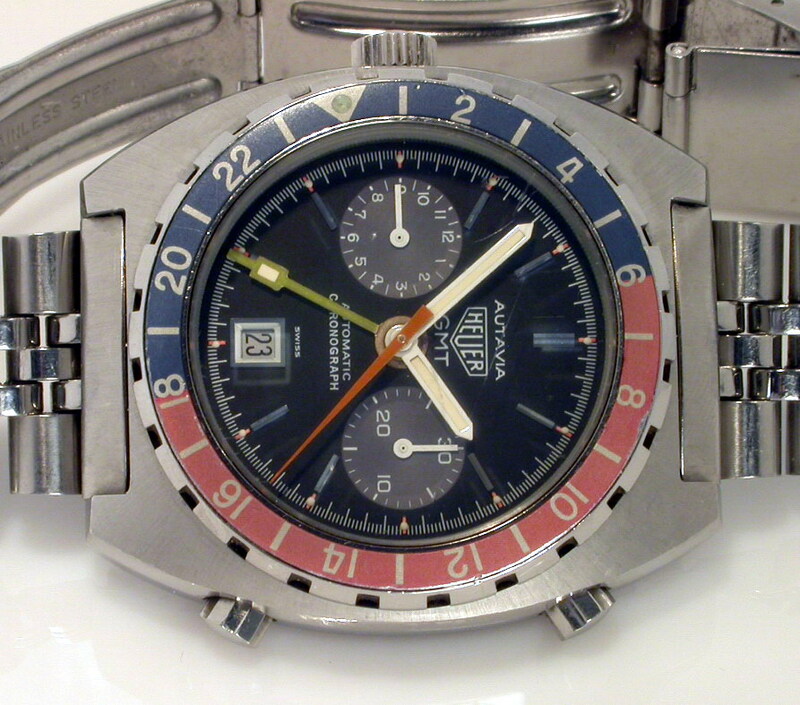 This is the last verison of the Autavia GMT, Reference 11063, on the original bracelet. Chrono functions properly (start / stop / reset), and it keeps good time. 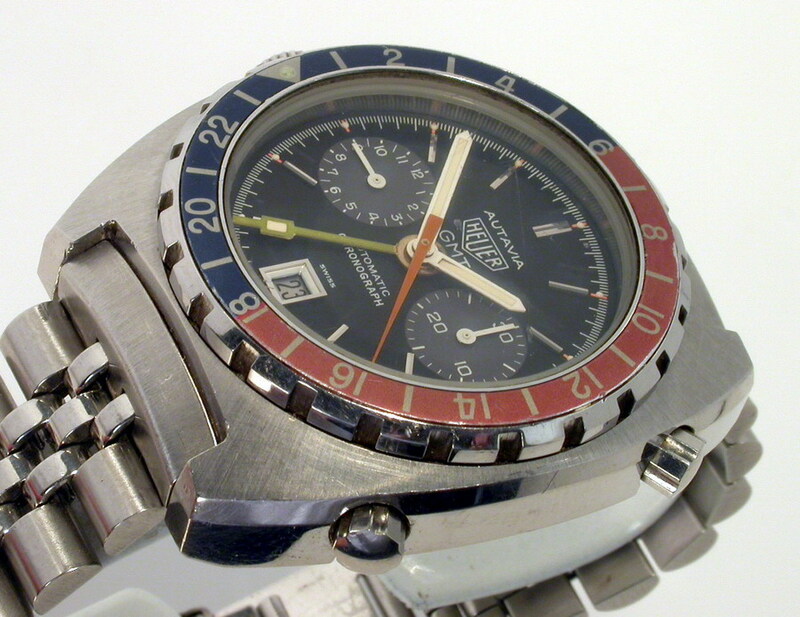 Light scratches on the mineral crystal, but no flaws that I can see on the dial, markers or hands. You can find additional photos of this watch -- the actual one offered for sale -- by clicking here. Will accept best offer over $1800, plus shipping and insurance. Send me an e-mail with any questions or your offer. I will plan to let this listing run for a few days, but will sell it sooner for the right offer.